“Philippines: American shot dead after refusing to buy beer.” This headline jutted out to me in The Daily Guardian this morning. As I sipped my steaming hot cup of Good Day White Frappe, I quickly perused this tragic story which could happen to any American, or other foreigners, living in the Philippines. The wretched incident occurred this past Tuesday evening, May 15, 2018 in Silay City, Negros Occidental. The victim was Erik Norman Hendrickson, 57, of Wisconsin, USA. Hendrickson was at a bar in front of the old Jose Locsin Memorial Hospital in Barangay. 5, Silay City. No doubt it was an evening like any other night in this hot, muggy month of May in the Philippines. The American was merely passing by the area with his 5-year-old special needs child to buy a bottle of beer before returning home. The Visayan Daily Star reported that the victim’s 5-year-old son was waiting in his vehicle which was parked nearby. Gilbert Apellido, 40, of Barangay Concepcion, Talisay City was in the bar, drunk, that night. The drunk might have been sucking down bottles of Red Horse, a local favorite. 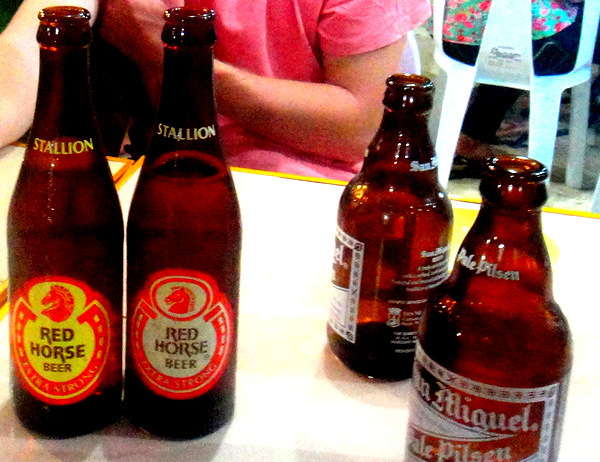 Red Horse is cheaper than Pale Pilsen and has an alc/vol of 8%. Apellido reportedly asked Hendrickson to buy bottles of beer for him and his nephew Neil Brian Corseno, 18, of Barangay Mambulac, Silay City. The American refused, walked away and went to another table. When Hendrickson declined the drunkard’s request, the suspects cursed at him in Hiligaynon (the local language which is also spoken in our province.) However, Hendrickson knew Hiligaynon. Apellido then approached the American and shot him at close range with a .38 caliber revolver. Hendrickson was declared dead on arrival at the Teresita Lopez Jalandoni Provincial Hospital in Silay City. He succumbed to two fatal gunshot wounds in the head and in his left arm. Five minutes later, the Silay City police arrested Apellido and his nephew. Apellido confessed to the crime and admitted he was drunk when he shot Hendrickson. Police have three eyewitnesses who saw the shooting. The two suspects will be charged with murder and gun ban violation charges and were jailed. Locsin also described Hendrickson as a very nice person who had adapted to the Ilonggo way of life. When he first met the American several months ago he told him that his son needed speech therapy, Locsin added. Hendrickson would always strike up a conversation with people by saying “Maayong gabi, ako si Erik, Ilonggo ako (Good evening, I’m Erik, I’m Ilonggo), Locsin said. The Freeman also reported the death of an Australian pensioner in Sipalay City the week before. 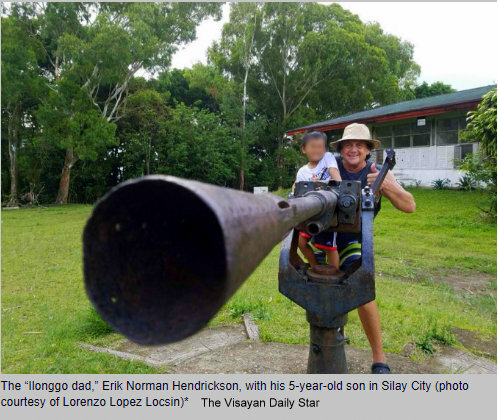 The police are looking into robbery as the motive behind the killing of Teunis Van Dalen, a 79-year-old Australian pensioner, who was found dead on May 12 at his residence in Barangay Mambaroto, Sipalay City, Negros Occidental. The body of Van Dalen was already in a state of decomposition, when discovered at the living room of his residence, according to Chief Inspector Nasser Canja, officer-in-charge of the Sipalay Police. Canja said initial investigations of the SOCO (Scene of the Crime Operatives) showed that there was forcible entry to the house of the victim, and that a commotion took place before the killing. I’ve been approached by people asking me for money countless times in the past almost nine years. I usually refuse. Occasionally, I will buy them some bread or a cold non-alcoholic beverage. Just this past week at the Annual Manggahan Festival in Guimaras I was approached by two drunks while sitting at one of the eateries at the Food Court. However, neither of them asked me to buy them a beer. They merely wanted to sit by a foreigner as we are sometimes mistakenly viewed as “celebrities” in the Philippines. The young man moved on but returned a few minutes later, still in his inebriated state. He was becoming somewhat annoying. I asked the man if he knew “Jesus Christ.” He acknowledged his familiarity with the Son of God. Whether the young man understood me or not, he left. Nevertheless, he soon returned and this time sat down at our table. My friend offered him a cigarette. However, after a couple of minutes my asawa returned as did the expat’s girlfriend. We said goodbye to our drunken friend but not before he bummed another cancer stick from my colleague. It’s best to be non-confrontational when you’re met by requests for handouts or “free beer.” However, if you’ve been drinking too much yourself (which I’ve been guilty of in the past), common sense often flies out the window. One of my latest books, “American Expat in the Philippines” recounts some of those incidents in detail. Nevertheless, I don’t know if the American killed in Silay City could have done anything differently. The expat walked away. There was no record from five different online newspaper accounts that he retaliated after he heard the morons cussing him out.